One person’s Kafkaesque battle with bureaucracy to get her identity back. On a rainy afternoon in May, Lu Chen legally became Shanghainese once again. With her new household registration, or hukou, paper in her hands, Lu couldn’t help but think back to something an officer at a police station in Shanghai’s Changning District said to her when she successfully switched her hukou to Beijing over 11 years ago. 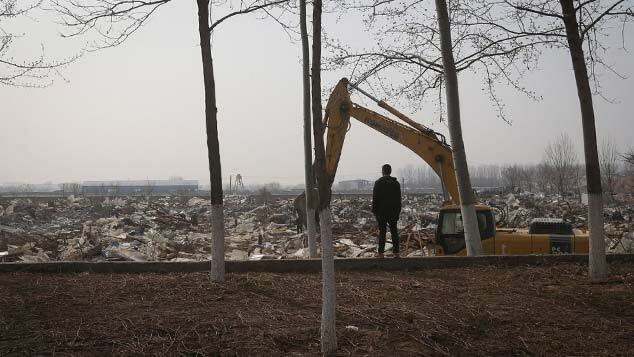 “She told me if I changed my mind, I would not be able to get the city hukou back until my retirement.” Although Lu, 33, didn’t have to wait until she retired to get her Shanghai hukou back, it did take over a year. 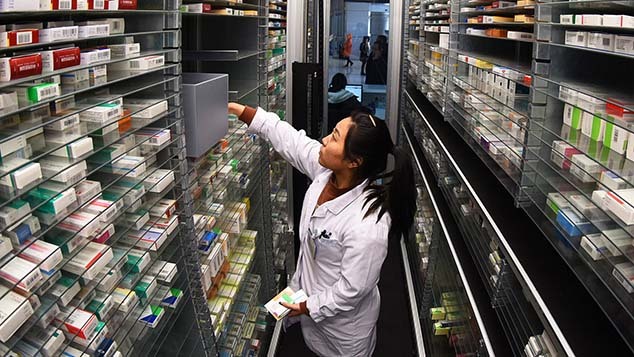 In an effort to protect Shanghai’s healthcare and education services from an influx of millions of migrant workers and their children, the city has one of the strictest household registration policies in China. Without a local hukou, people aren’t able to take full advantage of public services, such as schools or state health insurance. During the 12 months Lu was trying to get her Shanghai hukou back, she became a familiar sight at the Changning District branch of the Shanghai Municipal Human Resources and Social Security Bureau — where local residents go to apply for, or change, their household registration. 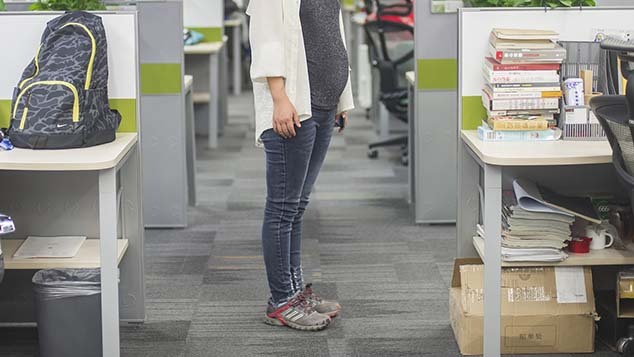 Lu was born and raised in Shanghai, but in 2005 she was required to switch her hukou to Beijing as part of a job offer at a state-owned enterprise. Lu did this knowing that she would probably never be Shanghainese again — at least not on paper. But Lu was childless and had no need for education services. Healthy and middle-class, the potential cost of medical care without state-guaranteed insurance also wasn’t much of a worry. When Lu returned to Shanghai from Beijing in 2008 after three years in the new job, she didn’t encounter any immediate problems. But as Lu’s parents aged, they pressured her to change her hukou back to Shanghai. Without it, Lu would not be able to inherit her parents’ Shanghai apartment. Compounding this, Lu’s parents were also worried that their decades-old apartment block would be torn down to make way for a new development. Since compensation is awarded on the basis of how many hukou are registered at the address, the family would receive less money if they had to move out, since Lu was now registered in Beijing. Other problems also arose. 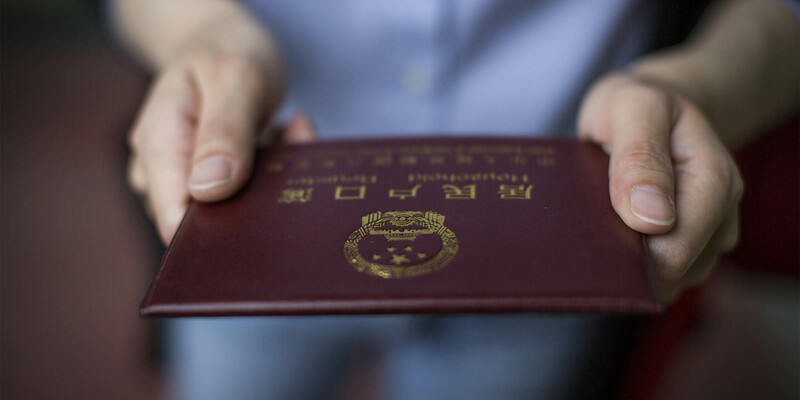 A trip all the way to Beijing in 2014 just to get a new entry-exit permit for Hong Kong and Macau — which mainland residents need for travel to and from those special administrative regions of China — was an annoyance that Lu could have done without. Also, Lu would have to visit Beijing in 2017 to renew her ID card, and again in 2018 to obtain a new passport. Lu’s hukou-less status became a joke between her friends, but it also became a constant gripe for Lu. Still, she was resigned to not being able to do anything about it. In early 2015, Lu saw a glimmer of hope. An older friend told Lu about a 1988 policy that clearly stated senior Shanghai citizens who were retired and unwell could move one child’s hukou back to the city if for reasons such as that the child had surrendered his or her hukou in the past or was not born in Shanghai. The policy was on the Shanghai Municipal Human Resources and Social Security Bureau website. In May 2015, when Lu paid her first visit to the Changning branch of the Shanghai Municipal Human Resources and Social Security Bureau, no one at the office had heard of the policy. Lu showed them the policy online, and the department immediately agreed to process her application. But hope didn’t last long. In June 2015 she took her record of pension payment in Beijing to the social security office in Shanghai. Lu was told that her application couldn’t be processed any further because there was no red authentication stamp from the Beijing Human Resources and Social Security Bureau on her payment slips. In the long months that followed, Lu tried desperately to get an answer about why her application had been halted. She went back to the social security bureau in Shanghai multiple times. She lodged complaints with the petition office of the social security bureau in Shanghai four times, but she received no response. In February this year, after the Shanghai office refused to give her a letter explaining their policy of requiring red stamps, she once again flew to Beijing to seek answers there. At last, Lu discovered the reason behind the bureaucratic deadlock. 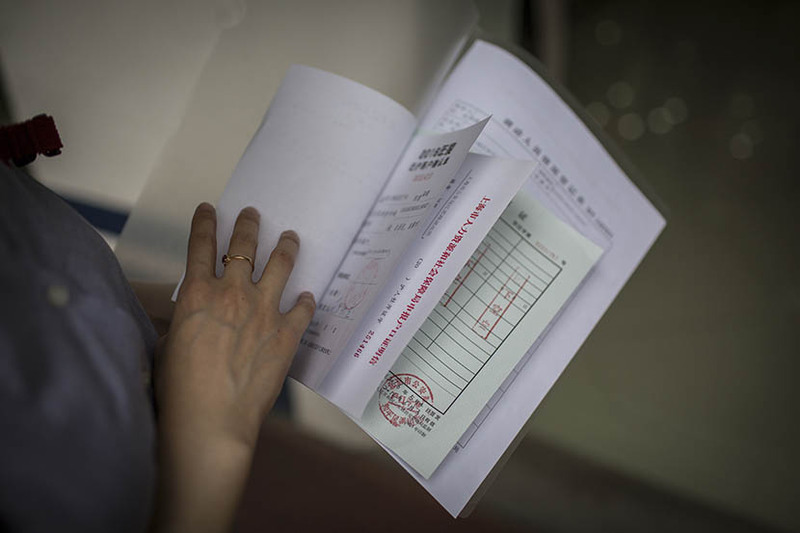 An employee at the Beijing Municipal Human Resources and Social Security Bureau showed her a 2013 policy change that stated people applying for a hukou in Beijing could print off the required document with a black and white stamp. This is what Lu had done, and it meant the stamp on Lu’s document was black, not red. In early March, Lu once again returned to the Shanghai bureau — this time armed with a website link outlining the policy change. Faced with irrefutable evidence, the authorities finally agreed to finish processing the papers for Lu, and she successfully picked up her hukou in early May. Between May 2015 and May 2016, Lu visited the Shanghai bureau at least 10 times and traveled to Beijing three times. Following Lu’s case, the Shanghai Municipal Human Resources and Social Security Bureau changed their policy to allow the use of black printed stamps on people’s pension records when applying for a hukou swap from Beijing to Shanghai. A worker at the bureau surnamed Zhang told Sixth Tone that the policy change would be citywide. Lu still doesn’t understand how her case has instigated such an important change to the system, but one thing is crystal clear: “Determination is very important if you want to get things done in China,” Lu said.